Known as "Music City", Nashville is filled with exciting attractions, famous live entertainment venues, renowned restaurants and interesting specialty shops. From its days as a frontier fort to being christened the "Country Music Capital of the World", Nashville celebrates its culture throughout the city. Take in a show at Opryland, the renowned Ryman Auditorium, the Bluebird Café or at one of the legendary honky-tonks along Broadway like Tootsie's Orchid Lounge. Experience the city's heritage at the Country Music Hall of Fame and Bicentennial Mall State Park and pay homage to the "Man in Black" at the Johnny Cash Museum. 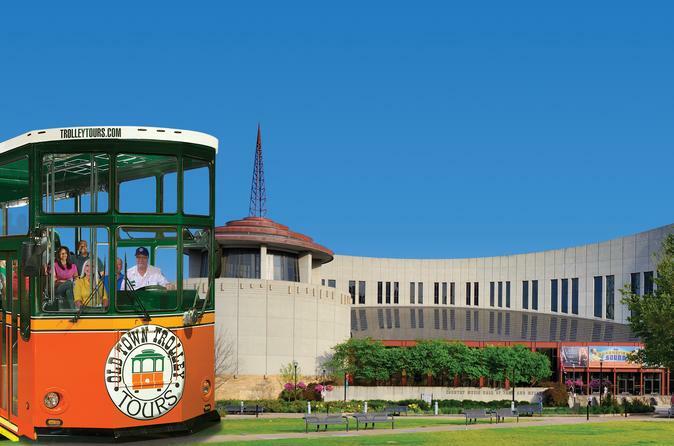 The city's vibrant atmosphere and its Southern hospitality come alive during a hop-on hop-off tour. Take this unique journey through time to learn about Nashville's early settlers, influential citizens and country music royalty. During the tour, your conductor provides a fascinating and entertaining narration filled with humor and little known facts about Nashville. You will see local points of interest, architectural landmarks and iconic places that have served as the backdrop for your favorite music videos, movies and television shows. Nashville is more than just music. It hosts designer stores, hip breweries, artisan wineries and laid-back coffee shops as well as Belmont University and Vanderbilt University that infuse the city with youth, energy and a festive spirit. A hop-on hop-off tour is the best way to get an introduction to the city that has drawn musicians and music lovers who have stayed for everything that this intriguing community has to offer. Explore shops, restaurants and attractions along the route at your own pace. When you are ready, just hop aboard the next trolley. One comes along every few minutes.